Ships tomorrow if you order in the next 17 hours 19 minutes. 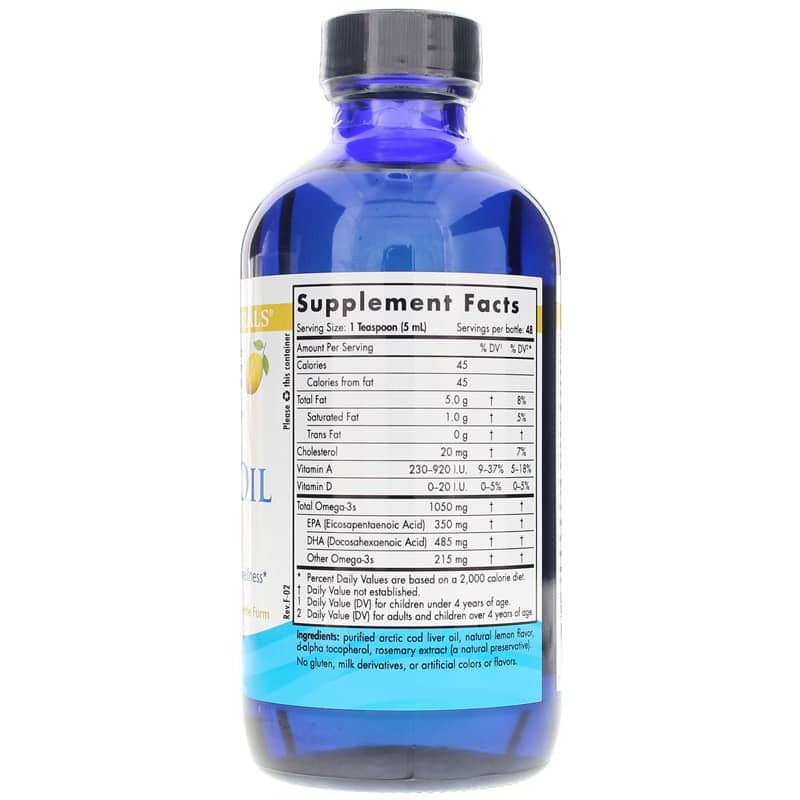 Omega-3s are important to your health, and if you're not a fan of the bigger fish oil capsules that are available, Nordic Naturals Arctic Cod Liver Oil can help. 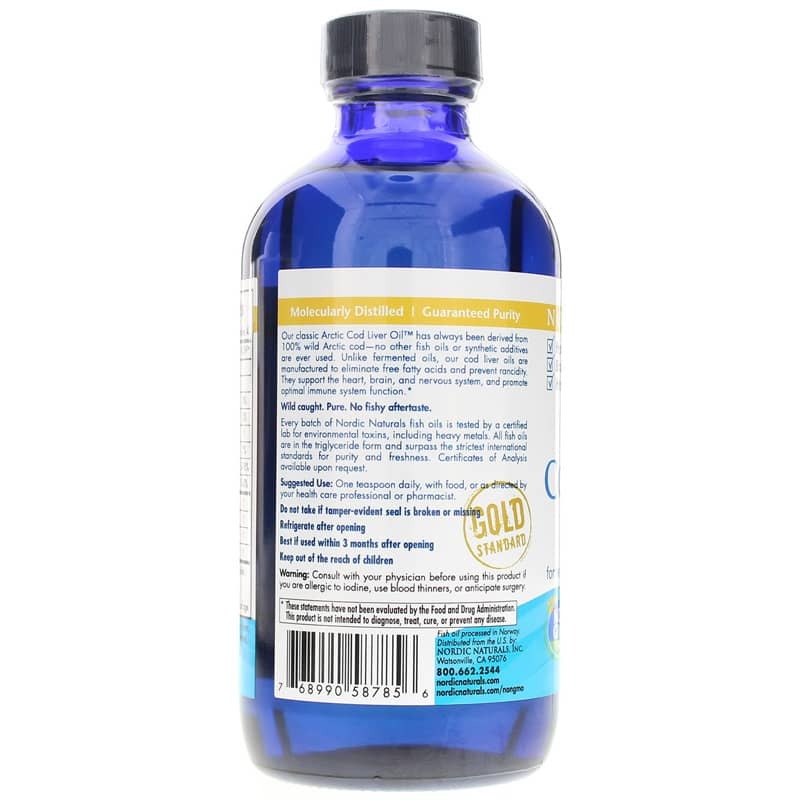 It comes in a convenient and great-tasting liquid form that delivers the daily recommended value of both DHA and EPA for improved overall health and wellness. A healthy level of omega-3s may also support heart health, joint mobility and flexibility, and may also help enhance your memory function. It's highly pure and is tested to be free of detectable levels of dioxins, heavy metals, PCBs, and other contaminants. Make the choice to ensure you're getting the omega-3s your body needs every day. 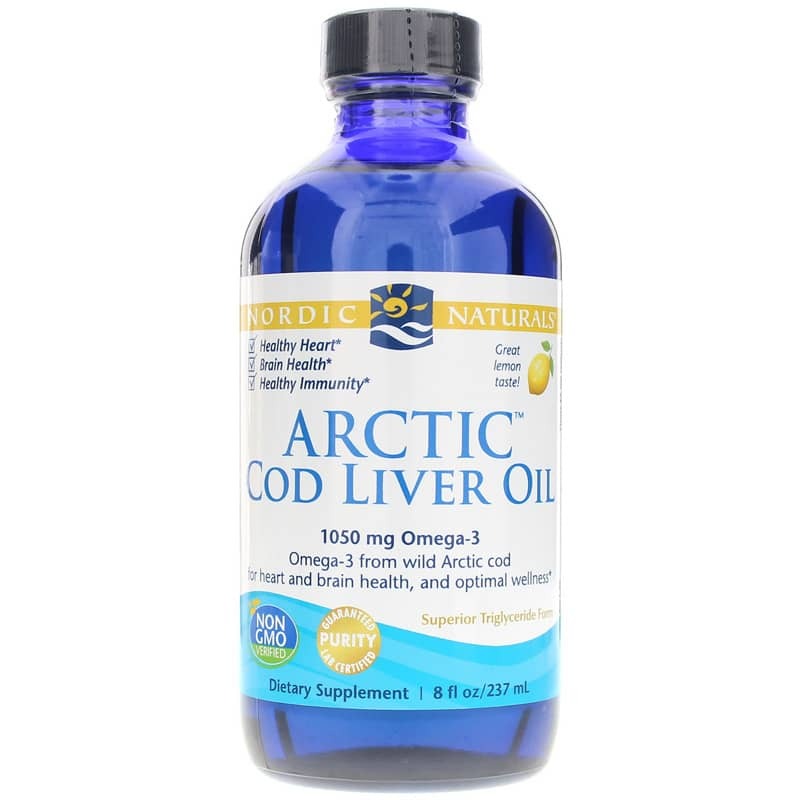 Start using Arctic Cod Liver Oil from Nordic Naturals today and keep yourself at optimal health and wellness. Order now! Ingredients: Purified arctic cod liver oil, natural orange flavor, d-alpha tocopherol, rosemary extract (a natural preservative). Contains NO: gluten, milk derivatives, or artificial colors or flavors. Non-GMO. Adults and Children ages 4 and older): Take 1 teaspoon daily, with food, or as directed by your healthcare professional. Children under 4 years: One-half teaspoon daily, with food. Children under 12 months: Consult your pediatrician. Refrigerate after opening. Best if used within 3 months after opening. Consult our physician before using this product if you are allergic to iodine, using blood thinners, or anticipate surgery. Keep out of the reach of children. I thought it would taste yucky like other fish oils but I was pleasantly surprised. Tastes great and no nasty after taste either. Been through a few oils both capsule and liquid. My preference is liquid because it's purity. This has been the best tasting oil I've had. The orange flavor is mild but yet enough to mask the taste. Both my daughter and I take it without any complaints. Will continue to buy. I have been using this product for about 3 years. It actually tastes good and my HDL test results have improved. My HDLs were in the 70s, but now they are in the high 80s to low 90s.